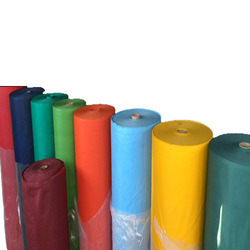 We are a leading Manufacturer of woolen felt rolls, woolen compressed felts and woolen colour felts from Mumbai, India. Size 1.5mm, 3mm, 5mm, 6mm, 8mm, 10mm, 12mm, 15mm, 20mm & 25mm. 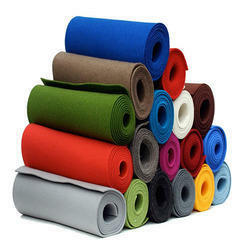 We offer Woolen Felt Rolls. The majority of our Felts are white with a small range of Black, Grey and Brown felts in the harder densities, some of which have been treated for flame retardency and are anti-static. The Standard thicknesses are 1.5mm, 3mm, 5mm, 6mm, 8mm, 10mm, 12mm, 15mm, 20mm 25mm. Where customers require additional thicknesses these can be manufactured to order on relatively short lead-times. Our Synthetic Felts range in density/weights from 50gr/m² up to 4000gr/m², and are made from various fibres i.e. 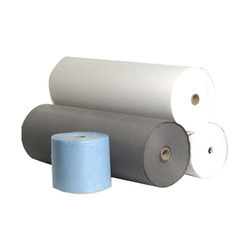 Polyester, Polypropylene, Viscose and Acrylic. The Colours are predominantly white with some in Black and Grey. Owing to our experience and skills in woollen industry, we have been successfully engaged in producing Woolen Compressed Felts. Available at nominal prices, these are known for a smooth finish, durability and easy to wash quality. In a time span, our range has gained immense appreciation for insulation, soundproofing and coating purposes in various industries. We fabricate Woolen Compressed Felts using the latest technology and methods with strict supervision of our workforce. Woollen compressed felt is a non-woven engineering fabric manufactured either solely from wool or from wool and other blended fibre mixture, manufactured by means of compression heat and moisture its construction depends upon the unique properties of the wool fibre. We are providing a wide range of Woolen Colour Felts to our valuable customers. Our new range of products now includes Colour Felts with reliable fast and (bleed free) durable colours. This is highly durable and compatible in nature. Customers can be easily availed from the market at most affordable prices. Looking for Woolen Felt ?